Lavender, a highly fragrant hardy perennial, has a long history of use as a home remedy. Lavender essential oil is a popular aromatherapy oil with calming effects that have made it an ingredient in perfumes, body washes and scented candles. Lavender tea is not as well-known, but its traditional use as a home remedy suggests that it may have health benefits as well. Keep in mind that many physical symptoms have underlying medical causes. Talk to your doctor before deciding to use lavender tea to treat any physical problems to be sure that it is an appropriate treatment and won't interfere with any other medications or treatments. Lavender tea is a traditional home remedy for insomnia, says James Duke in "The Green Pharmacy Herbal Handbook". The Commission E, an agency which approves herbal and alternative remedies for use in Germany, lists lavender tea as an approved treatment for insomnia and restlessness. The Commission E monograph lists no side effects or contraindications, however more recent research suggests that lavender essential oil may disrupt normal hormone function in young boys. A study, conducted at the National Institute of Environmental Health Sciences and published in the "New England Journal of Medicine" in February 2007, found that pure lavender oil mimics the effects of estrogen and inhibits the effects of androgen. The researchers undertook the study after a doctor in Colorado linked the use of products containing lavender essential oil to three cases of abnormal breast growth in pre-pubertal boys. The study specifically referred to the topical application of products containing lavender essential oil, but you may want to avoid giving lavender tea to young boys to be on the safe side. A tea made of lavender flowers relieves headaches caused by "nerves and exhaustion," notes Maud Grieve in "A Modern Herbal." She goes on to note that it has the same effect as rubbing the temples with lavender water. Grieve warns that drinking too much lavender tea can cause stomach distress -- gripes and colic -- and in large doses, may be toxic. Lavender also reduces muscle spasms and increases relaxation, according to Lois White, author of "Foundations of Basic Nursing." The combination may make lavender tea especially effective against premenstrual migraines and headaches. The Commission E monographs also approve lavender tea to treat functional abdominal complaints, such as nervous stomach irritation and intestinal discomfort. The monograph lists lavender tea as an antiflatulent. Researchers at the University of Parma, Italy, found that lavender essential oil may help protect against some types of gastric ulcers in rats. 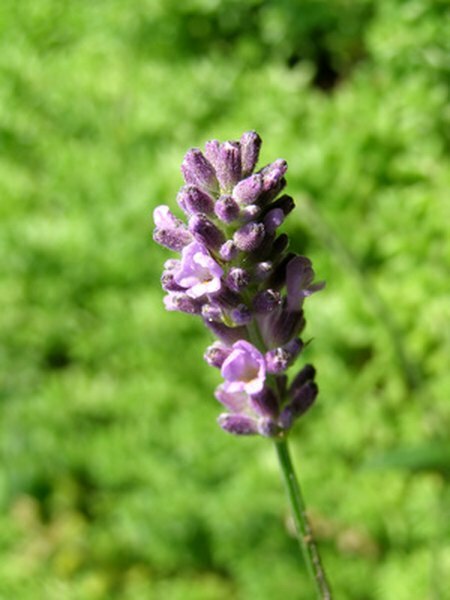 The study, published in the November 2004 issue of Life Sciences, noted that the effects of the lavender oil were the same whether it was ingested or inhaled.